Could someone please decode these numbers for me? Thank you. 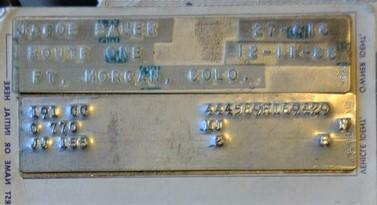 In the top of the engine block, on the passenger side, you will find some letters and numbers (2 letters and 3 numbers). Please add a photo of them and I will decode them all for you. J7.... number on the block should match the VIN on your car. 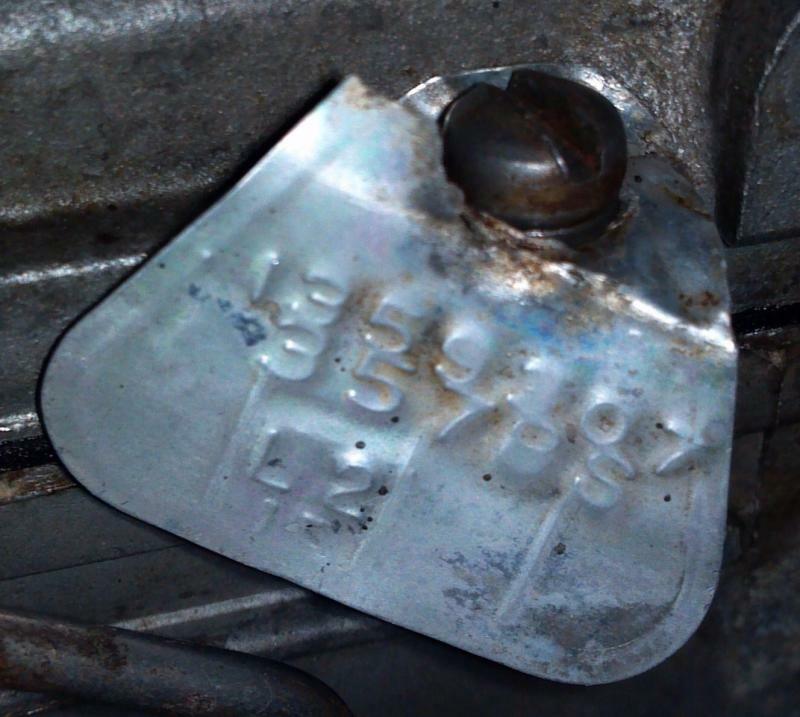 Another stamped number - mirror image of the VIN - shows the cubic inch displacement of the engine. JT = 401, JW = 425. The other letters are code numbers for a shift, or something that's never been discovered as of yet. The tag on the carburetor is to ID the carb for parts - can't tell by the numbers or the picture if the carb is a Carter AFB or an Rochester 4GC; it would also tell you if the carb is the appropriate carb for the engine. 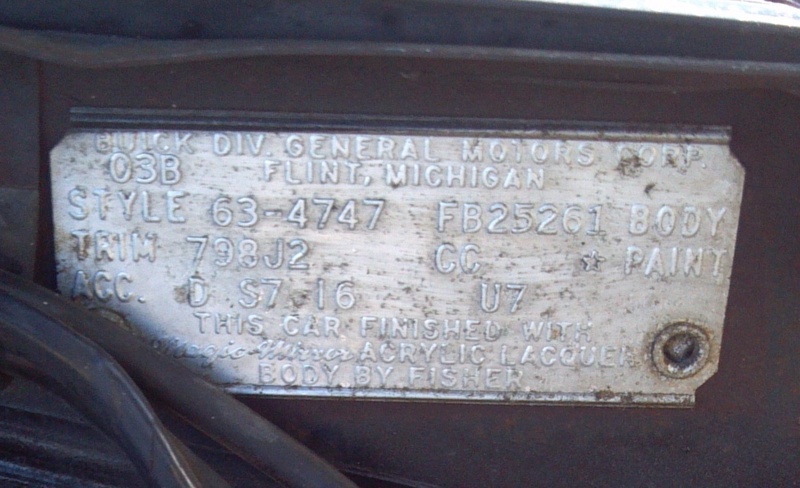 The Fisher body numbers are on the Riviera Owner's website along with an illustration showing what each stands for. 15 = maybe day of month? Wow! Thanks everyone....especially Sean. So if the carb is original, I firmly believe it is given the condition of this car, it has a 425! (I haven't looked yet for the pass. side engine numbers) Sean what is the CFM of the carb? 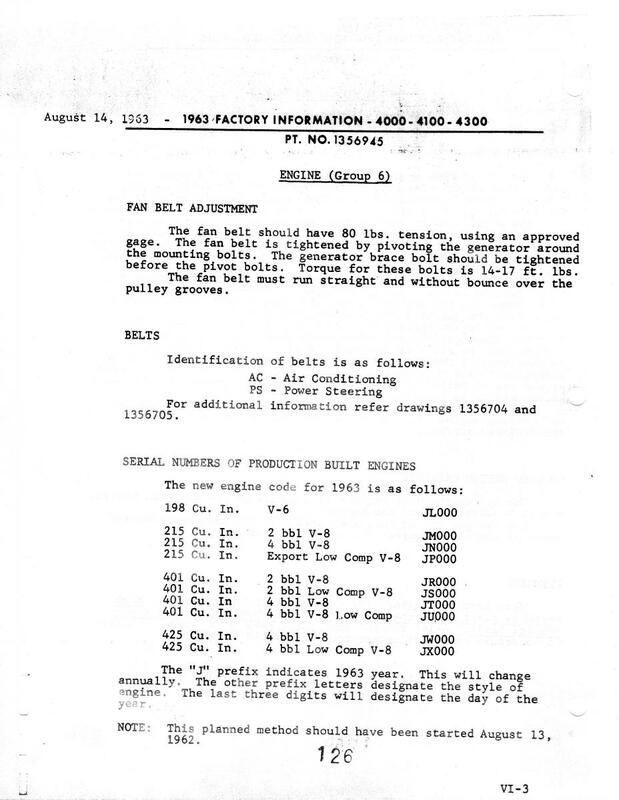 You will need to find the engine production code as Jim stated to confirm that it is a 425. I don't know if Carter ever specified the cfm, but based on the venturi size it is about 625 cfm. Next question, and I have read lot of conflicting opinions, rebuild the Carter or install Edelbrock? Smooth acceleration ( it falls flat on it's face unless I feather it from a stop ) and fuel economy are what I am after, I am not a hotrodder-more of low cruiser type . Rebuild the Carter! It's designed for your engine; Edlebrocks et al are universal. 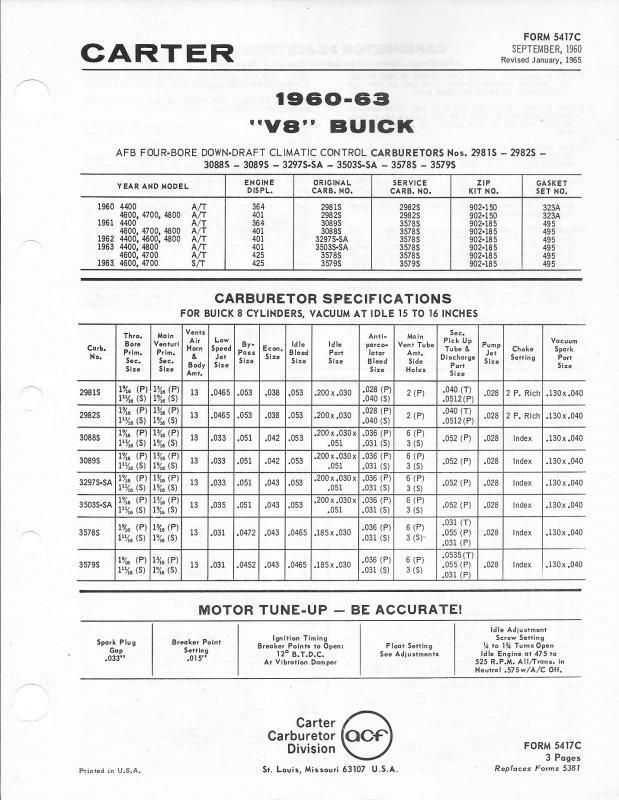 I can't say this about the '63 because the 425 is not part of the chassis manual, but in '64 the 401 and the 425 both have Carter AFB's but the 425 carb has different jet sizes than the 401 carb. There's got to be a reason. Edlebrock has not taken this into account but you probably should. Hesitation on acceleration is probably a weak accelerator pump. Pretty easy fix. I've always been curious about these charts. No matter who prints them there is something on them that make you scratch your head. In this instance it's carb #3579. In 1963, it's specified for model 4700 but you'll also notice that it's the carb for the S/T - standard transmission. Not in a Riviera! Yes, there are a couple of mistakes in the application chart. It shows only the 46/4700 with the 425, but the 425 was also available in the 4800 but not the 4400. 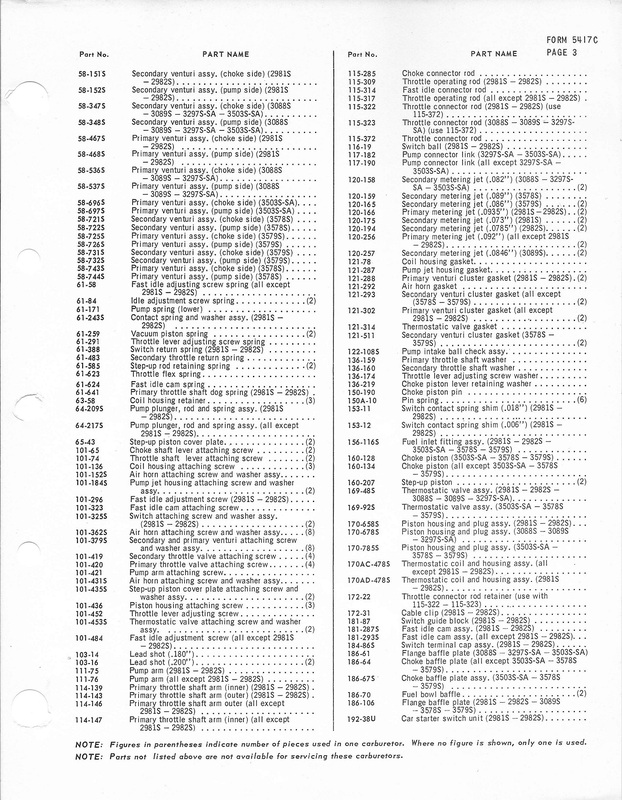 Like you said, there was no standard trans available in the 4700, just the 44/4600. In 1959-1961 the 4700 was the Electra, no 4700 in 1962, and then 4700 was the Riviera in 1963. It also show that 3578S was the service carb for just about all of them, which I wouldn't think would be correct either. 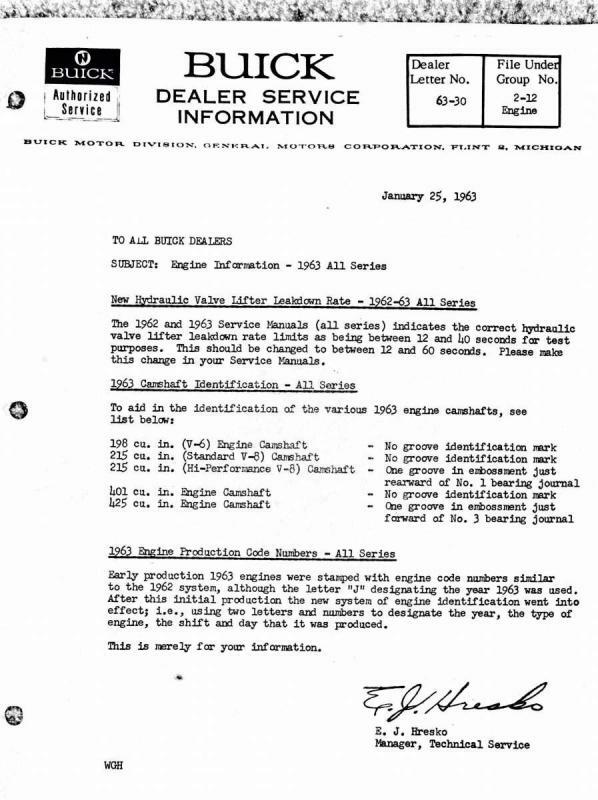 I've never seen much from Buick that talked about the 425 in 1963. Maybe Pete Phillips would be a better person to ask (see the attached picture from the January 2013 issue of the Buick Bugle article titled "The 1963 Buick Riviera Celebrates its Golden Anniversary" by Pete, the second paragraph under the heading "Specifications" on page 30). Ed, I thought those numbers were a three digit production date? Pretty much like the date on the transmission tag? 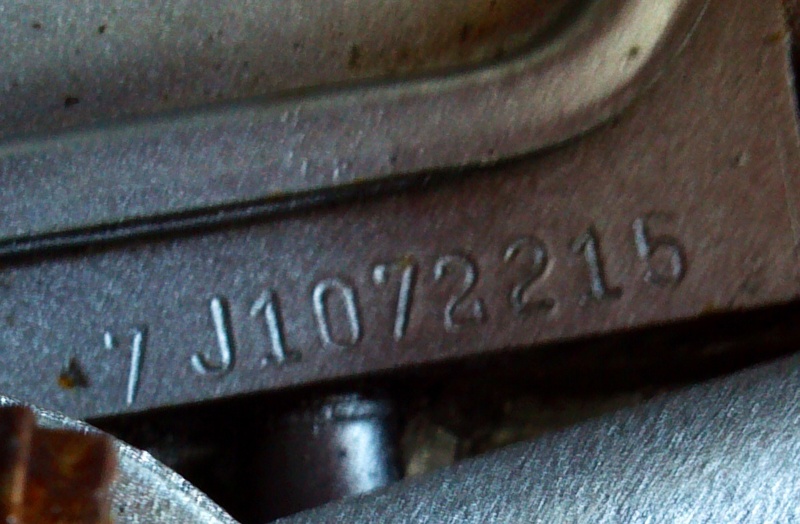 I do know that number matches the POP plate for my '65 GS, and it was a bit before the car was built, I thought it was the date the engine was manufactured? You may have unlocked something. At least you're the first person I know of to come up with any kind of correlation. The cat is out of the bag! Well, almost.....the key to putting this info to work is the actual schedule which the engine plant followed and when, as in calender day, they started production for the model year. 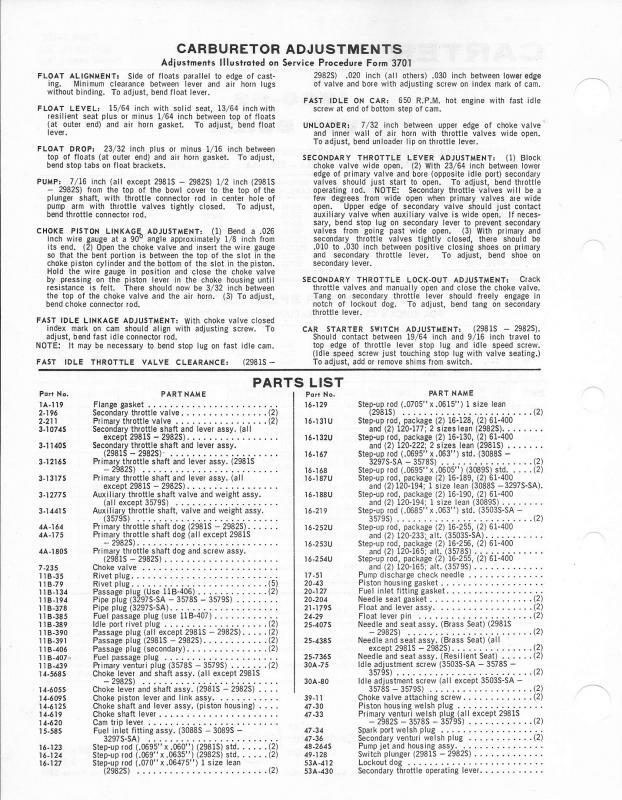 I've attached to pictures, one is from the 1963 Buick assembly manual and the other is a Dealer Service Information letter (see last paragraph). Where did you come up with a 1963 assembly manual? Does it have a section that specifically covers the Riviera? Tom, I know you don't like it when "secret" info gets out! Would they start with zero at the beginning of production, or, could the dates just be Julian dates? I thought if the numbers were above 365 they were started at the beginning of one year and continued into the next year? I'm sure there was a system but what might it have been? The one I have that I can verify has a 398 engine, a 453 Transmission, and a build date of April. Meaning the engine was built early February, and the trani was built late March, so, kind of just before the car was built. Is that not how it worked for the most part? Is there a date on the page where all of the engine production codes are listed? If so, I'm curious as to how far it precedes the actual production of the first known 425. Or was a 425 availabe in the Wildcat and/or Electra before it was availablle in the Riviera (Dec. 1962). 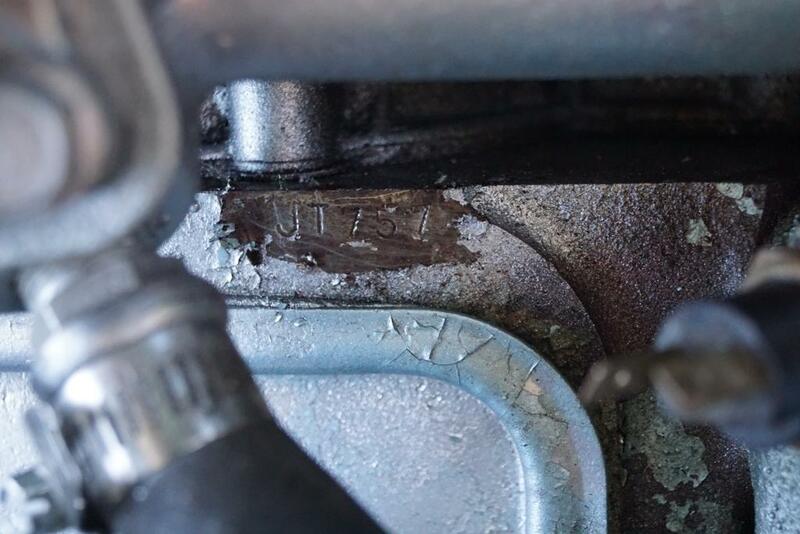 Has anyone seen a JX engine - low compression 425 as shown on the list? 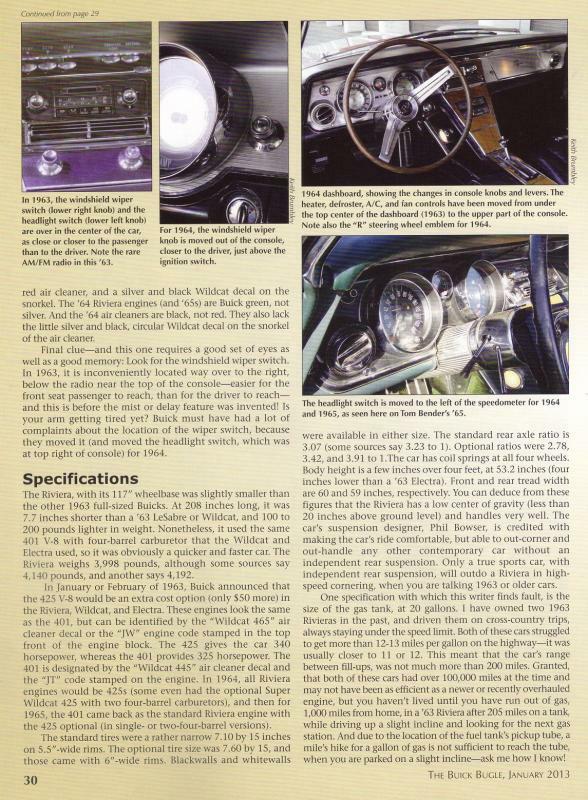 In the September 1962 edition of Motor Trend, Tom McCahill tests a 1963 Riviera and in the article it states that the car tested is equipped with a 425. Has anyone ever figured that one out if that engine wasn't made public until December of that year?